What is Fannie Mae HomeReady? Fannie Mae HomeReady is a low down payment mortgage for creditworthy, low to moderate-income borrowers. Down payments can be as low as 3%. Both first-time or repeat home buyers are eligible. In late 2015, this program replaced Fannie Mae’s MyCommunityMortgage program. In the words of Fannie Mae, HomeReady mortgages address “today’s home buyers”. HomeReady's innovative features allow borrowers to qualify for a loan based on how they actually live. Here's an example: HomeReady recognizes the fact that many low to moderate-income borrowers have roommates, boarders or extended family living on the same property. Thus, Fannie Mae developed new guidelines around a central theme of income flexibility for creditworthy borrowers. HomeReady acknowledges that there can be broader family involvement in home ownership. There are a lot of households in America include extended and multi-generational families. That means there are more potential contributors to a household's loan-qualifying income. 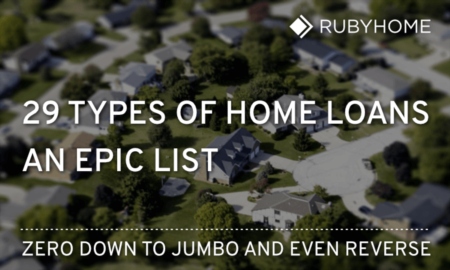 The following features make HomeReady unique in the mortgage universe. HomeReady recognizes non-borrower household income (meaning, income from people not legally listed on the mortgage note). This extra consideration -- of other sources of income -- is known as a compensating factor. When a borrower's debt-to-income ratio is slightly higher than HomeReady's guidelines, other household income may come into play. Susan wants to buy a house. Her aging father will also live there. Adding up Susan’s housing expenses and monthly debt payments (like her student loan) reveals that her Debt to Income (DTI) ratio is 50%. This exceeds the HomeReady guideline of 45% maximum DTI. But her dad’s retirement income may be a compensating factor. His income cannot be used to re-calculate Susan’s DTI, but it will be given consideration as part of the overall loan approval process. What’s more, her dad’s income may be considered as a compensating factor even though he will not be on the mortgage note. Here’s the bottom line: Susan's dad’s income can give an underwriter a legitimate reason to approve a loan even though Susan's DTI ratio exceeds the 45% maximum. An accessory unit is a separate dwelling with its own kitchen and bathroom on the same property. Steady rental income from an accessory unit can be a source of qualifying income for the borrower. To be clear, unlike the EIH compensating factor above, rental income can be used in a borrower's debt-to-income ratio. Benjamin buys a home that includes a separate in-law unit over the garage. He has a lease agreement with a tenant who will rent the unit after the purchase. The agreement states the renter will pay $750 per month. Fannie Mae will recognize 75% of that rental income, or $562.50 ($750 x .75 = $562.50). The remaining rental income is added to Benjamin’s overall qualifying income. Ellen plans to buy a home and her current roommate of 2 years plans to live with her in the new property. Ellen’s roommate pays $500 each month in rent and plans to pay that same amount in the new home. Over the last year, the total rent was $6,000 ($500 x 12 = $6,000). Thus $6,000 can be added to Ellen’s total qualifying income. Please note, only 30% can come from the roommate, so Ellen's income must be at least $1,677 per month ($500 ÷ 30% = $1,667). 4. Co-Borrowers Co-borrower (co-signor) income may be used as qualifying income. What’s unique about the HomeReady mortgage is that co-borrower income may be used for qualification even if they don’t live in the home. This makes getting a loan easier. Most importantly, this rule increases the number of potential relatives or other individuals who may assist with the mortgage payments. As mentioned, borrowers who want to take advantage of the HomeReady mortgage program do not have to be a first time home buyer. The focus of HomeReady is to serve low and moderate-income borrowers regardless of home ownership history. There is an educational requirement for prospective homeowners via a convenient online course called Framework. The required coursework does two things: it helps people understand how to buy homes, and it creates sustainable home ownership. Meaning, borrower income right at or below the AMI in any area would qualify. This shift further increases HomeReady’s availability to borrowers. You can research the AMI for your area using Fannie Mae’s eligibility lookup tool. Most loans that exceed 80% loan to value (LTV) require mortgage insurance (with one notable exception, VA Loans). One advantage to a conforming like HomeReady is cancellable mortgage insurance. With FHA loans, getting rid of mortgage insurance requires a complete refinance. This is an option when a FHA mortgage's LTV reaches 80%. And FHA refinances have fees. Lastly, refinances happen within the context of market interest rates at the time of refinance - which may be higher at the time of the refinance that when the first loan was issued. With a conventional mortgage, borrowers can cancel Private Mortgage Insurance (PMI) by requesting that their lender remove it. Requests can be made when the LTV hits 80%. When the balance drops to 78%, LTV the mortgage servicer must remove it. Can I use HomeReady to purchase a second home or investment property? Nope. This mortgage program is for primary residences only. Does income used as a "compensating factor" need to come from a relative? Nope. Income used as a compensating factor can come from relatives and non-relatives alike. But the person needs to live in the home. Do I have to be a first time home buyer to use a Fannie Mae HomeReady mortgage? You don't have to be first time home buyer; this program is open to anyone regardless of prior home ownership. Another Fannie Mae 3% down program, the Conventional 97, requires borrowers to be first time home buyers. However, HomeReady is less restrictive. As a borrower, do I need to pitch in some money for the downpayment? Down payment funds can come from several sources (listed above) and you are not required to contribute. Can I refinance my existing home with a HomeReady mortgage? 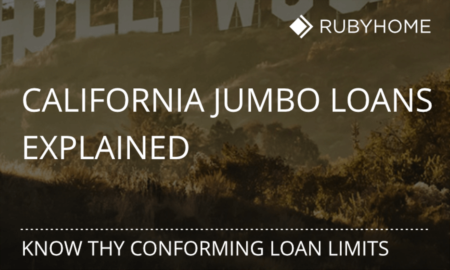 Yes, standard limited cash-out refinances (LCORs) may be made up to 97% LTV if the existing mortgage is currently owned or securitized by Fannie Mae. If the mortgage is held by another entity, LCORs may be made up to 95% LTV. Why do I have to take a homeowner education course to get a HomeReady loan? Fannie Mae analyzes mortgages, borrowers and factors that contribute to loan defaults. They've concluded that the Framework homeownership education course will help people make borrowers more responsible homeowners. The aim is to reduce foreclosures and broader systemic (mortgage market) risk. At least one borrower is required to complete the course prior to the note date. The course is required for purchase transactions. For HomeReady refinance, do I need to complete Framework? For loans locked on or after 07/26/2016, homeownership counseling is not required for HomeReady Limited Cash-out Refinance (LCOR). It is only required on a purchase transaction. Can I get a HomeReady loan if I don't have a credit score or credit history? Plus any reasonable service or purchase where repayment terms are in writing (documented).